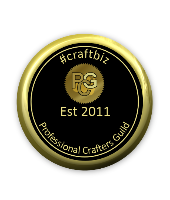 Thank you for applying to join us at The Professional Crafters Guild. We will be processing your membership shortly and will email you a Welcome Pack which will include your unique registration badges and certificate. Whilst waiting for your welcome pack please follow us on Facebook and Twitter.